This year has been filled with many lessons. These lessons all have had impacts on me, but the most important one taught me about our organization and the people in it. Florida DECA, you are an organization of many varying qualities: resilience, passion, humility, and ambition. You are a group of student leaders of quality, like no other, who come together for the greater good of the community and yourselves. You may only see a glimpse of your chapters activities, but with every chapter I worked with this year, my perspective of this organization has grown. I have seen your energy and confidence grow first hand since the day I took office. With every community service project, job training exercise, and chapter meeting, we become a more cohesive unit that drives our members towards success. Meeting and interacting with the members of each and every chapter has showed me the magic of Florida DECA and the reasons for why we all unite. Florida DECA, you are destined for greatness and meeting some of you this year has been an absolute pleasure. To my friends, team and officer coordinators, thank you for always being there and giving me support, I wouldn’t be able to do it without you. To the members of Florida DECA, thank you for letting me serve as your Vice President; every moment has been an honor. To Florida DECA, you are an organization that has changed my life and the lives of many others; I hope you continue to impact students the way you have with me for the rest of your existence. This experience has been a journey; one that I’ll never forget. Thank you for coming along with me. Until next time! Competition is one of the many cornerstones of DECA. Through real world application and professional development, it improves the quality of each and every DECA member who participates in it. Some of the greatest feelings associated with competition are winning and your hard work paying off. With this summer’s abundance of time, there are steps you can take in order to stay competitive and achieve those feeling. When preparing for competition, there are always a couple questions you should keep in mind. You need to find an area that catches your attention and keeps you enthralled. If you want your judge to be interested in your presentation, you need to be interested in it yourself. 2. How do I make an impression? Judges will see many presentations and role-plays on the day you present. It’s important that you find something that makes you stand out above the rest of your competitors. 3. How can I be the best? Be thorough. Read until you feel like your eyes are going to pop out and then read some more. There are people who will be just as driven as you; use your creativity and your know-how to make yourself and your projects better. Competitors are always on the prowl, so there’s no better time to start than the present. Use your time effectively and get a head start for the new school year! One of DECA’s four guiding principles is Community Oriented. In an attempt to be the most Community Oriented DECA member you can be, Team 58 strongly encourages you to go out to your community and provide some assistance. Volunteer your time, raise items, support local causes, and most importantly, find something that you’re passionate about. · Reduces stress: Experts say that when you focus on someone other than yourself, it reduces your tension. · Makes you healthier: Moods and emotions, like optimism, joy, etc. · The estimated value of a volunteer's time is $15.39 per hour. Imagine what just a few hours of service could do for your community! #6: It promotes personal growth. Understanding community needs helps foster empathy. #4: You learn a lot! · Self: Volunteers discover hidden talents that may change your view on yourself. · Community: Volunteers gain knowledge of local resources available to solve community needs. Be someone to make a difference with your free time; have a great summer Florida DECA! With this year ending and a new term of DECA leaders and experiences approaching, a pathway for success must be aligned. What is your chapter’s game plan for the next year? Team 58 would like for you to keep the ingredients of an EPIC Annual Business Plan in mind while you draw this plan out. The Annual Business Plan is a menu of great activities for your chapter to choose from and complete in the following school year. Achieving these activities is not an easy feat, but as a Chartered Association, we like to recognize excellence, which would most definitely be displayed upon completion. 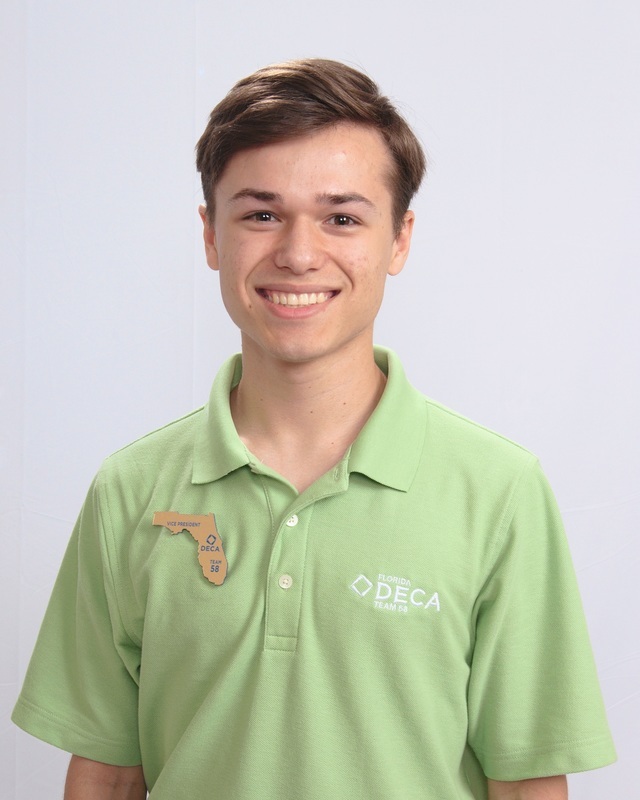 The Annual Business Plan is designed around four key principles, the founding principles from which DECA was built on: Academically Prepared, Community Oriented, Professional Responsible, and Experienced Leaders. DECA members are ambitious, high-achieving leaders equipped to conquer the challenges of their aspirations. Recognizing the benefit of service and responsibility to the community, DECA members continually impact and improve their local and broader communities. DECA members are poised professionals with ethics, integrity and high standards. DECA members are empowered through experience to provide effective leadership through goal setting, consensus building and project implementation. How will your chapter exemplify these principles? Go to the drawing board and plan out your EPIC year by infusing these principles into your chapter’s activities. When the 2015-2016 Annual Business Plan is published in the next couple of months, be sure to find ways to tie your plans and goals to the activities described so that your chapter can receive recognition for the great things it does! Role-plays can be a vicious beast, fighting on your side or against you. But there’s no need to fear because I’ve got the tools to help you tame them. As a DECA warrior, you have many skills in your arsenal that have developed through experience and knowledge. When faced with role-plays, it is your job to highlight these skills and bring them to your judge’s attention. · Creativity: Do something your judge has never seen before; leave a lasting impression on him/her. · Organization: Keep your information clean. Don’t hop from subject to subject. You are usually playing the role of a professional, put-together business person; it is your job to sound like one! Prepare well, my friends. · Realism: Celebrities usually won’t care about your situation; try to avoid outlandish plans that are not feasible for your business. · Confidence: The key to any successful role-play. If you are passionate in what you’re saying, you can buy yourself a lot of credibility in the eyes on a judge. There’s no formula or sure-fire way of defeating the role-play beast. It’s up to you to add your own flare, create your own style, and attack your situation the best you can. As long as you go into your battle with a good attitude and have fun, the beast of the role-play has already lost.